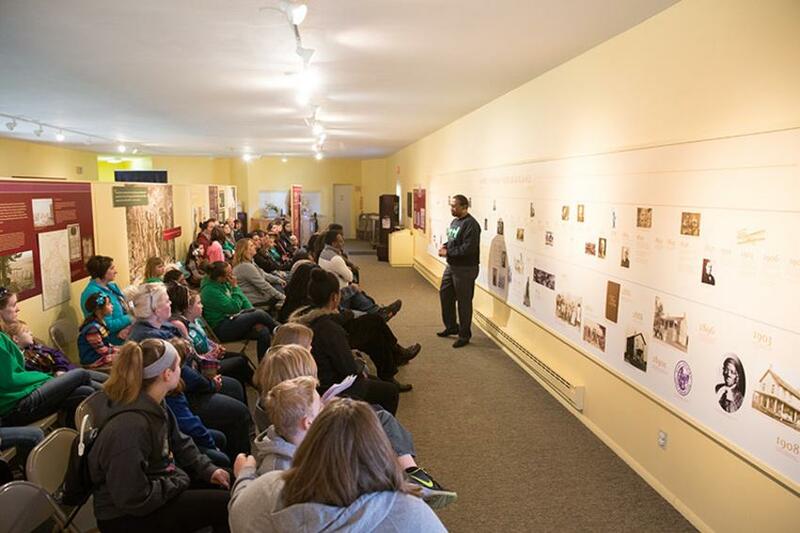 From abolition to suffrage to breaking barriers of all kinds, the Finger Lakes region has plenty of reasons to celebrate Black History Month. This winter, while you embark on your next Finger Lakes visit, spend some time reflecting on the rich local history. In recognition of the people and places that have shaped the area, we’ve put together five day trip ideas to engage, inform and inspire. Each trip is estimated from the Ontario County Courthouse, well known for its notable impact on civil rights in the region, in Canandaigua, NY—the historic county seat of Ontario County. The next portion of the trip brings you to a simple building that had a big role in the abolition movement. The 1816 Farmington Quaker Meeting House was the gathering site for many major reform movements in the 19th century. This pillar for African-American rights served as a stop for those seeking refuge and is now part of the National Parks Services’ Underground Railroad Network to Freedom. Located on 196 acres of rolling hills and valleys in Rochester, NY, Mt. Hope Cemetery is the first stop on this historic path. 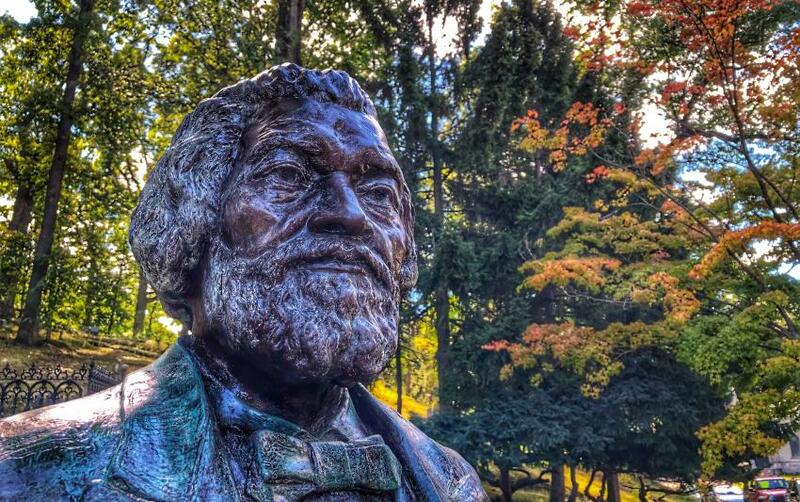 This site is a time capsule for many families, with thousands of marble, bronze and granite monuments, including one of Frederick Douglass, an African-American pastor and newspaper editor who became a powerful voice for abolition and a pioneering conductor on the Underground Railroad. His gravesite serves as an indelible reminder of the legacy he left. 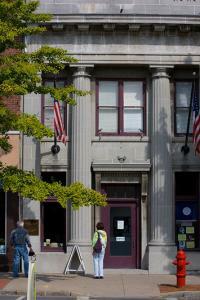 Just down the road from the Quaker Meeting House is The Ontario County Historical Society Museum. 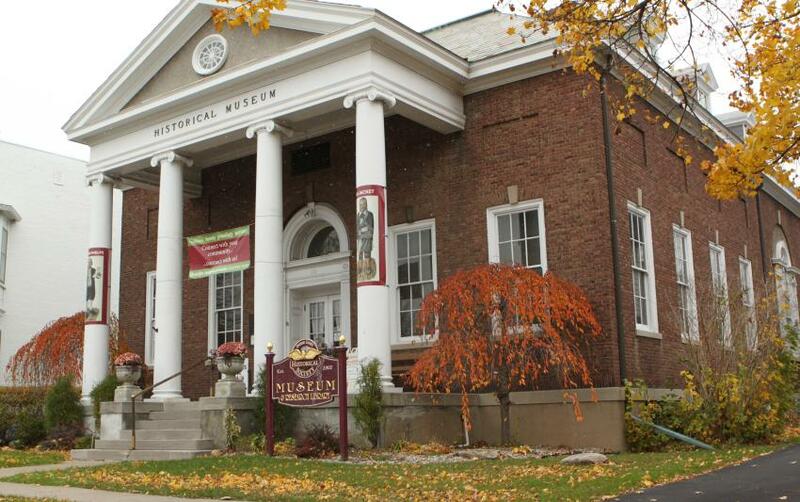 Located in Canandaigua, NY, this museum holds a wealth of knowledge, with programs and exhibits rotating year-round. Canandaigua is also the home of Austin Steward, who escaped slavery at the age of 22 and helped many others do the same. Make sure to peruse the history built into the foundations of the OCHS. 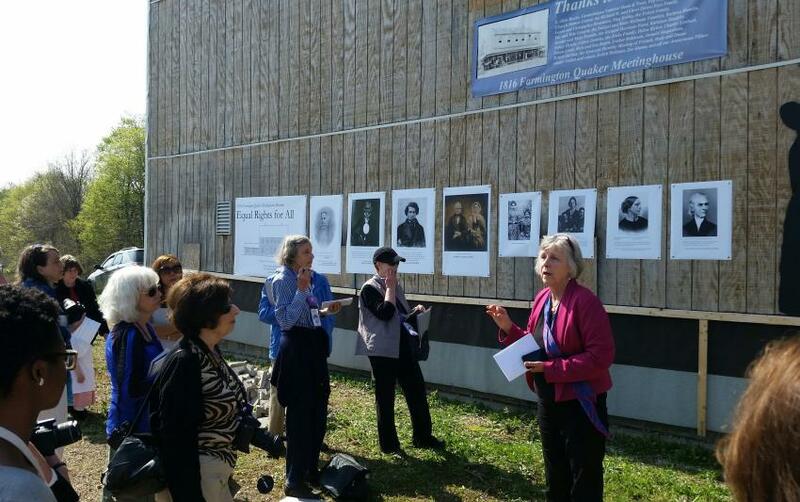 East of Canandaigua is where you’ll find an organization whose goal is “showcasing great women … Inspiring all!” The National Women’s Hall of Fame in Seneca Falls shines a spotlight on notable women throughout history. Women like Mary Burnett Talbert, a civil rights and suffrage activist who was a Red Cross nurse, high school teacher, assistant principal, and key leader in many clubs, committees and organizations. Or Constance Baker Motley, the first African-American woman to become both a federal court judge and an elected member of the New York State Senate, and whose career led her to becoming a key legal strategist in the civil rights movement, helping desegregate southern schools. Inspiration abounds in the halls and walls of this esteemed location. The last stop on the tour is the home of one of the most iconic women in the history of the United States, Harriet Tubman. Tubman was a force for good who helped many escape to freedom as they passed through several Underground Railroad stations established in Ontario County after 1850. The Harriet Tubman Home is a historical monument to the fearless abolitionist and Underground Railroad conductor who was known as the “Moses of Her People.” The home, open Tuesday through Saturday, offers daily tours detailing the impact of Tubman’s quest for freedom, suffrage, humanism and more. 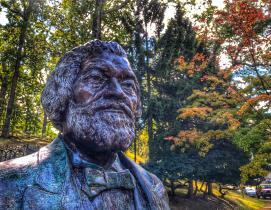 The 32-acre property in Auburn, NY, is the perfect culmination of Black History Month and a stop not to be missed.